It might be the end of summer, but there is one work out that you can take with you ANYWHERE! On the beach at vacation, on your office floor, in your living room, Saturday in the park…no matter where you go…you can take your PUSH UPS with you! 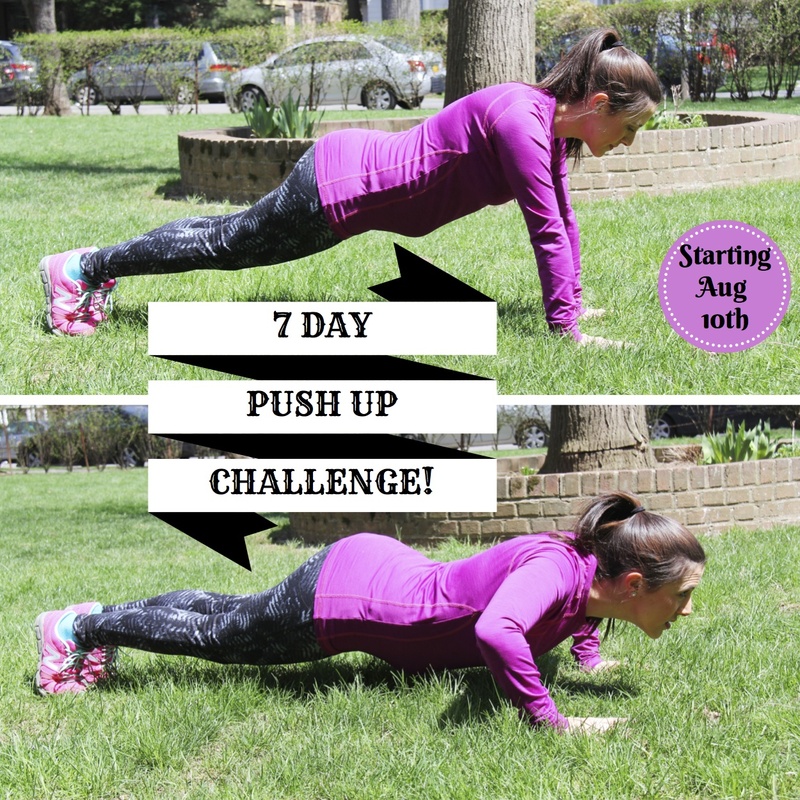 Join me on Monday August 10th for a FREE 7 Day Push Up Challenge! Strengthen and tone that upper body with one simple exercise each day for a week. I promise you are stronger than you think! I will share proper techniques, and no matter what your skill level or athletic ability, you should be able to participate. I will also be sharing modifications for beginners, and for the advanced, there will be tips for making your push ups more challenging. Our push ups will increase each day and we will motivate each other to get through the week one day at a time. So who is ready to PUSH YOURSELF?!?!? !